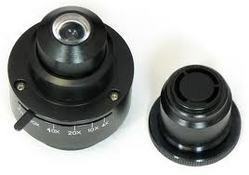 Exporter of a wide range of products which include microscope parts, microscope components, magnifying lenses, microscope cameras, microscope eyepiece and microscope illuminators. 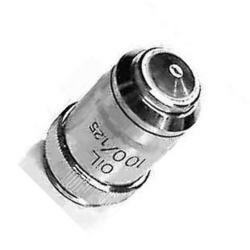 Spare Huygenian Eye piece 10x or 15x or 5x accurately centered & fitted with a fine pointer. Supplied in a velvet case. Huygenian Eye piece 10x fitted with ocular disc of 10 mm divided into 100 divisions. Standard & Coated achromatic objectives. 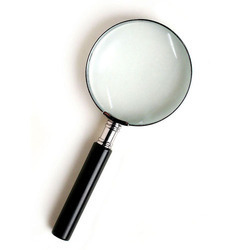 We are one of the prime manufacture and exporter that produces a wide range of Magnifier Set all around the world. This product is crafted by the team of expert and skilled craftsmen. Made up of high quality brass the product is extremely strong and sturdy in nature. This is an elegant show piece and is available at comprehensive rates. We are renowned manufacturers and suppliers of a distinct range of Magnifying Lens, which are equipped with heavy and thick glass, coupled by a metal and horn frame handle to ease the users. This lens is fabricated by our expert professionals using high quality of raw material which ensures durability of the product. Welcome to the premiere site for finding the right microscope camera for your application. We carry a large selection of microscopy photography equipment including CCD cameras, USB digital cameras, video capturing cameras, and specialty models for fluorescence microscopy, dark field analysis, and normal brightfield imaging. 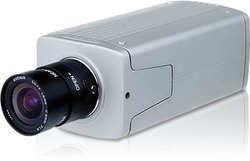 We have the right camera for every application to record exactly what you see through our high-performance instruments. Photographs with a resolution of more than 12 million pixels, ultra high sensitivity and optimum color fidelity are possible with our Microscope Cameras. We offering wide range of microscope eyepiece.With wide distribution network, we offer a wide range of Medical Equipment that has a huge appreciation from our clients. These equipment are manufactured in accordance with the international quality standards. The highly experienced team of our organization offers Pointer Eyepiece With Mirror to our prestigious customers. They are available in different specifications and are easily fit into the microscope. We carry a wide range of lights for your stereo microscope. Our selection includes fluorescent, LED, and fiber optic light sources with various capabilities. Many come with adjustable intensity and directional lighting. Please read the descriptions below to find the best model for your application. It is an ideal durable cool light source for microscopes. This kit comes with one year warranty against manufacturing defects. It is brand new in original box. Dark Field Condenser Almicro Dark Field Condenser System is used to observe transparent object. Most Plankton are so transparent that they are difficult to see even with bottom lighting. Dark ground illumination (condenser) is a special kind of lighting used to make them show up better. Dark field condenser stops light coming from directly under the object and only lets it come up from the sides. Only light which reflects off the objects goes into the objective lens. Looking for Microscope Components ?